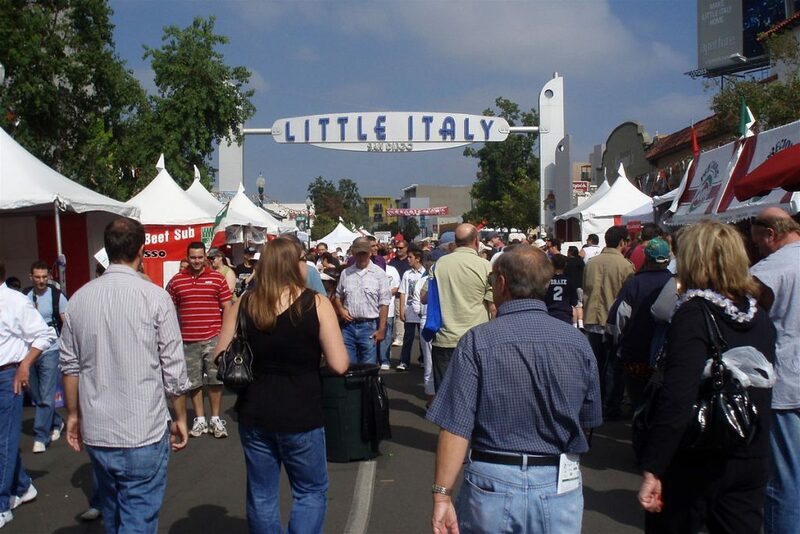 A true mix of rich cultures, University Village and its neighbor Little Italy are often considered the same community. Located next to the University of Illinois Chicago, the area offers a range of facilities for its diverse population. It also features long-standing restaurants, bars and cafes, along with up-and-coming ones that show the latest trends. You’ll have no trouble finding what you need here, or exploring more in neighborhoods nearby–and as your Little Italy and University Village movers, we’ll make sure you feel right at home from the beginning. The University Village and Little Italy neighborhood is home to about 97,000 thousand people, with a few more men than women. They have a median age of 30. About a third of the neighborhood households have children. Average yearly income is around $83k, and residents have a range of educational backgrounds. Little Italy, specifically the area around Taylor Street, gained its reputation as an immigrant community throughout the late 19th and early 20th centuries. The Italian American population continued to grow and thrive in the area throughout the next few decades, establishing businesses along the way. The community shifted significantly in the 1990s, when the University of Illinois Chicago campus was built nearby. The neighborhood is now frequently called ” University Village & Little Italy”, showing how its heritage and new development have created a unique culture today. Now you’ve got the gist, here are some highlights—and basics—we found to help you start your best University Village life. Arrigo Park: 6 wooded acres. Maxwell Street Market: Sundays year-round. Vendors and live performances. Vertiport Chicago: The place for Chicago helicopter tours. National Italian American Sports Hall of Fame: Public exhibits and events. Festa Italiana: Annual August street festival. First Aid Comics: Comic shop offers gaming gatherings. West Central Association: For community news and other nearby events. Pizza: Damenzo’s. Delivers. Also serves Mexican. American Italian: A few of the many great options. Pompei: Open since 1909. Cafeteria-style. The Rosebud: Truly old school, sit-down restaurant. Tuscan: Francesca’s on Taylor: Warm and modern. Vietnamese: Lotus Banh Mi. Sandwich cafe on UIC campus. French: Chez Joel Bistro. Casual and intimate. Brunch: Sweet Maple Cafe. Low key setting for breakfast and lunch. Late Night: Jim’s Original. Home of classic sausage sandwiches. Open 24/7. Wine: Davanti Enoteca. Paired with creative Italian food. Beer: PhD Pub. 77 craft brews. Chilling: Drum and Monkey. Sports viewing and events. Dancing: Vintage Lounge. 1920s decor and feel. History: Little Joe’s Circle Lounge. Comfortable space since 1946. Jewel Osco: Two locations. Canal St. store open 24 hours Tuesday-Saturday. Conte di Savoia: Italian specialty products and sandwiches. Peet’s Coffee: Chain with creative menu. The Coffee Alley: European style, serves sandwiches. University Village Dog Park: Locally supported. This has been a tiny sampling of the great things you’ll experience at your new University Village home. As a seasoned University Village moving company, we’ve learned all about the staples and cool places in the area. We’re happy to share more! As you’re planning your big move, cross one major thing off your to-do list, and book University Village movers who’ll a take load of stress off your mind. Call us at New City Moving, and we’ll help you move safely, smoothly, and on-schedule, so you can settle right in and start living your greatest University Village life.